(CNS): Premier Alden McLaughlin and Deputy Governor Franz Manderson were both keen to press home the message Friday that the review of the civil service currently being conducted by local management consultants Ernst and Young (EY) is not just about selling off or privatizing government assets. McLaughlin said that this 'Rationalization' process would examine how government can merge or amalgamate departments and services to help bring down the cost of government. He said the exercise was to determine how best services can be provided and the premier expected that EY will make recommendations about areas that can be restructured and not just sold. McLaughlin said the process was about how best to deliver government services generally and EY is expected to make recommendations about restructuring, amalgamation, consolidation, streamlining, outsourcing and possibly privatization via this strategic overview. Government has not identified any specific services or departments that would be the most obvious to sell off, as the premier said there were no preconceived ideas about what EY might find. Manderson explained that the civil service had already done what it could so far without engaging the expertise now contracted to help make the next changes. He said this phase of rationalization would transform government. Dan Scott, the regional partner of EY, said he was taking a particular interest in the project and it was critically important to get this right. He said the public sector has grown hand in hand with the private sector but it was time to pause and see if it can be more effective. Scott said that would also help the civilservice attract the right talent and warned that it was time to embrace change. “I have taken a personal interest in it and will be very involved in the process because ultimately, while we can deliver solutions, it needs to be about delivering solutions that have an understanding of the local market place and not just solutions that come out of a text book,” he said, adding that EY had assembled a talented team. Leading that team is Larni de Courtenay, an EY expert from Australia who has spent several years working with the government there on the same sort of rationalization of the public sector. She said she would be bringing that experience to the table here in Cayman. She said that in Australia they had adopted a number of different rationalisation strategies that were not just privatization and they were hoping to capture ideas from those inside the civil service. Even in the best of times, clearing merchandise through the Cayman Islands Customs was like a bad dream. The newly introduced Customs Tariff Law 2012 has turned that bad dream into a major real-life nightmare. The new tariff codes require 8-digit codes with various import duty rates to be input into Customs entry forms. There are 5,000 different item codes which are contained in a 230 page PDF document. This means that a small business importer bringing, say, 150 different small items for resale must first find the correct code and import duty rate for each of these items from the list of 5,000 possible codes. This task takes a day or more to categorize the items, then for each item the specific freight on that item must be calculated so as to include the amount of duties to be paid on both the cost of the merchandise and the freight. Even before full implementation people clearing Customs are now finding out that it takes 4-7 hours waiting in line at Customs to pay import duties that are at best exorbitant. Then hours more are needed for Customs to check that the codes, duty rates, freight on each item and import duty calculations are correct. The implications of this will be felt by every man, woman and child in the Cayman Islands in more ways than one. While it is true that the average person does not ever have to go to Customs or directly pay import duties, everyone who buys products locally that are imported is paying the total costs that importers pay, plus the profit added by those importers. We can all therefore expect a substantial price increase that will result from the increased labour costs by merchants which this new and improved law will bring. The present number of employees of the Customs is insufficient to meet the new demands of implementing this law. Unless of course the government expects that the public will be satisfied to wait in line for a few days each time they need to pay customs duties. This means increased labor expenses for Customs and a bigger chunk out of the net amount collected by Customs in order to pay for additional labor expenses. We all know that government gets substantial funds from collecting import duties for everything consumed by every man woman and child in the Cayman Islands. So, in addition to increased prices locally, the public can also expect that this will be financed by increased taxes (or fees or import duties, since we don’t like the word ‘tax’ and claim to be a tax-free country). For some small local businesses this Customs Tariff Law 2012 will be the final nail in the coffin. For the general public we have higher prices to pay, since both large businesses and small businesses will need to spend more for the total costs of importing, and therefore pass the higher prices and their profit on to the public. I don’t recall any politician having this law on their manifesto in any election, so who imposed this law on the people of the Cayman Islands? What are the benefits to the people of the Cayman Islands, or to anyone in the world for that matter? And why do we have to pay the price? Who in the world will benefit by knowing, for example, how many light bulbs we import and whether they are sealed beam lamp units, whether they are halogen, or exceed 200 watts, whether they are fluorescent, or mercury, whether they are ultraviolet, or other, or even parts for a light bulb? Yes, these 8 examples each have their own 8 digit code and are required to be listed separately on our customs entry forms. So. Who do we blame for this abomination? The previous government for imposing the law of course, but even more so we must to lay final blame where it belongs: at the foot of the PPM government, for implementing it! (CNS): Ten women and two men took just under three hours to convict 34-year-old Chad Anglin of the murder of Swiss banker, Fredrick Bise. Anglin remained impassive as he stood in the dock when the foreman read the jury's guilty verdict Tuesday. The West Bay man was then handed a mandatory life sentence by the presiding judge, Justice Alex Henderson. Bise's body was found in the back of his own burned out SUV in the Mount Pleasant area of West Bay in February 2008, and despite Anglin's arrest in the immediate wake of the killing, it was not until 2013 that he along with another West Bay man, who will be tried later this year, were charged. Anglin's defence team said they were unable to comment on any potential appeal until they had taken a closer look at the case. There were no family or friends in the court of either the victim or the defendantwhen the verdict on the Cold Case Unit's first case was delivered, some six years after the killing, which the prosecution presented as a likely hate crime. Anglin, who was already serving a five year sentence for a violent sexual attack on a woman, was charged with the murder last year following the re-opening of the case by the new specialist unit formed in 2010. (CNS Business Video): Reef Divers Cayman Brac has been working with the high school on the island since 2007 to provide a watersports vocational course as an introduction to the diving industry. Over the last seven years more than 30 students have been through the course but not one of them has chosen diving as a career. Talking to CNS Business in this week’s video interview, Dive Operations Manager Mick Maher says that diving offers a good living on the island and is a lot of fun, but young people just aren’t entering the industry. Reef Divers took over the high school programme on the Brac after the Divi Tiara closed down in 2006, and they teach courses through to Rescue Diver to students who choose it as an option in Years 11 and 12. The only working locally born divemaster on the island, BJ Walton (26), went through the programme at high school and then worked with the Divi dive operation to gain his divemasters certification. Maher says the job is not just about safety and leading a dive but about entertaining, and for local divemasters it’s about representing your island. The interview with Maher continues tomorrow. 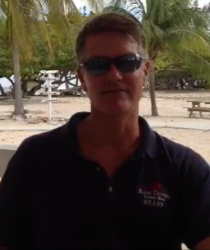 Later this week, CNS Business talks to Cayman Islands Diving Hall of Fame member, Cornell Burke, a former dive manager with Brac Aquatics. (CNS): Kemar Hyman, David Hamil, Rhymeich Adolphus, Troy Long and Tyrell Cuffy will be ehading to the Bahamas this coming weekend to compete in the Inaugural IAAF World Relays. The local sprinters will be lining up for the 4x100m and 4x200m relay races at the new games where some 800 athletes are expected to compete on 24-25 May in Nassau. The top eight teams in both the men’s and women’s 4x100m and 4x400m will automatically qualify for the 2015 IAAF World Championships in Beijing. Those teams will also be awarded prize money with the gold medallists taking home no less than USD $50,000. Another $50,000 bonus is also up for grabs for any team that breaks a world record. The Cayman Islands Athletic Association (CIAA) said the Cayman five man te4am will be accompanied by National Coach, Kenrick Williams and Team Manager, Ato Stephens. As well as the sprints the inaugural event also includes the 4x400m, 4x800m and 4x1500m. Preliminary entry figures indicate that 48 member federations will take part in Nassau. Initial entries of 762 athletes – 440 men and 322 women – have been received by the IAAF as 90 men’s teams and 64 women’s teams will be spread across the five events. (CNS): The education and employment minister claimed a successful and productive year when she held a meeting last week in her West Bay constituency. Despite continuing problems in the schools and unemployment levels among Caymanians, in particular the under 25's, Tara Rivers was patting herself on the back for a job well-done. 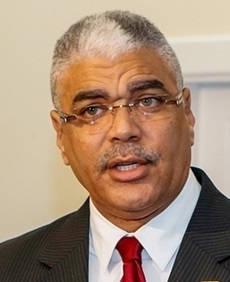 The minister stated that she and her councillor, Winston Connolly, both of whom joined the Progressives' government after winning their seats on the Coalition for Cayman ticket in the general election, “have been extremely busy driving a policy agenda” to accomplish key objectives in the ministry. Rivers has released her own progress report, outlining what she said were those key accomplishments. “This year has been a very productive one. We have made great strides in many key areas in a relatively short period of time. We still have a long way to go, but we have made tremendous progress already in this first year since taking office, and it is important for us to share this progress and the accomplishments with the country, so that the public knows exactly what we have been doing,” Rivers said as she thanked staff in the ministry, the various departments and the schools. “I look forward to continuing to drive the policy agenda to improve our education system, to improve our labour and employment mechanisms and to promote gender equality in all aspects of life in our country,” she said. According to the latest figures from the Economics and Statistics Office, the unemployment rate among locals fell marginally during 2013 from the high of 10.5 percent in 2012 to 9.4 percent. However, there are still major concerns about the levels of unemployment among local people and the barriers that many say they are facing. With a reduction in the size of the civil service, a major policy objective of the government over the next financial year, Rivers may find herself dealing with another increase in local jobless numbers in her second year in office. (CIASA): The 12th Annual Butterfield 800M Sea Swim takes place on Saturday, May 24th. The swim starts at 4pm, with registration from 3-3:45pm at Public Beach; and runs south, parallel to 7 Mile Beach starting at Public Beach and ending at Governor’s Beach. This is CIASA’s second sea swim this year and is the last chance for an official warm up swim before the 22nd Flowers 1 Mile which takes place on 14th June. “Open water swimming is a wonderful way to stay fit and enjoy the warm, clear waters of our Islands,” said Butterfield’s Marketing Officer Rebecca Ebanks. “As part of our community focus, Butterfield encourages fitness activities supporting wellness and we are pleased to, once again, partner with the Cayman Islands Amateur Swimming Association to host this annual event. We invite swimmers of all levels to come out and take part in this delightfully active afternoon,” she added. 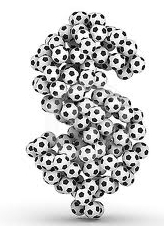 Registration fees are: CIASA members $15/Adults and $10/Children, Non-members $20/Adults and $15/Children. (All fees are in CI$). All swimmers are provided with swim caps, which must be worn for safety reasons and there are event T-Shirts and trophies for the top three male and female finishers in each age group; and Subway sandwiches and refreshments provided at the end of the race. (CNS): The premier of Bermuda, Craig Cannonier, resigned from office Monday night following a political scandal over his alleged dealings with US businessman and top Democratic fundraiser, Nathan Landow. Cannonier’s resignation came after days of speculation over his future as the islands’ leader after Landow admitted that he and a group of real estate developers, builders and businessmen from Washington DC contributed some $300,000 to Cannonier’s party, the One Bermuda Alliance, during the 2012 election campaign via a group called the Bermuda Political Action Club. Although Landow has denied any quid pro quo in his dealings with Cannonier, the Bermuda premier said there was a failure to be transparent. Cannonier (51) was sworn in as the country’s premier in December 2012. Having served as leader for just 17 months, this is the shortest term in Bermuda’s history, according to local and international media reports . In a statement Cannonier said, “Nothing illegal was done, but I accept there was a failure over time to be completely transparent. 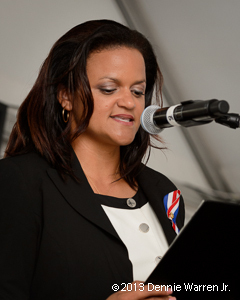 This is a fundamental component of good governance and a core principle upon which the One Bermuda Alliance was founded." Accepting responsibility, he added that he was “very disappointed with the ways things have turned out” but was quick to ensure his political colleagues were blameless. "In saying that, I want to make one thing completely clear: No Cabinet colleagues have done anything wrong in this or any other matter. As the leader, I accept responsibility." Governor George Fergusson said he had accepted Cannonier’s resignation Monday and that Deputy Premier Michael H Dunkley would carry out the role of acting premier on an interim basis. Cannonier has not resigned his seat and well remain in the country's parliament. (CNS): Jeff Webb is keeping up the pressure when it comes to integrity in the game of football. The CONCACAF President and FIFA Vice President, Jeffrey Webb recently opened a joint FIFA-INTERPOL Workshop, entitled ‘Train the Trainer for Football Players and Referees’. The course delivered by INTERPOL’s Integrity in Sport Programme Manager, Julie Norris had over 25 participants from a cross section of areas within CONCACAF, and a Major League Soccer Representative. Upon completion of the course, participants will be able to facilitate the recognition of match fixing propositions and specifically address issues of corruption. Dr Noris added that she was pleased to help in the training to target match-fixers and help those in the game to recognize, resist and report approaches, to ultimately preventing match- fixing.